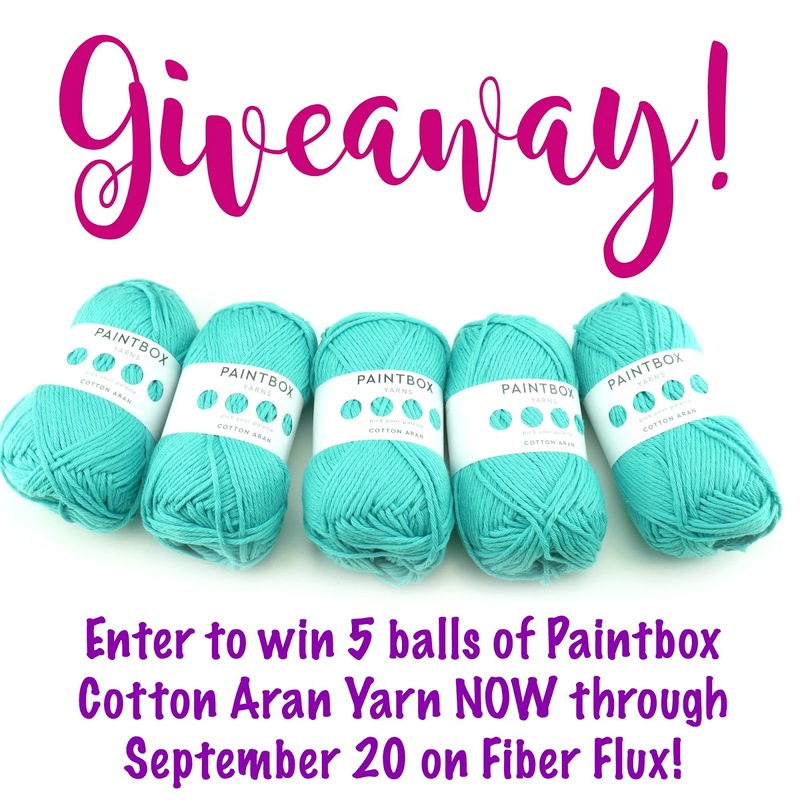 Fiber Flux: Paintbox Cotton Aran YARN Giveaway + Coupon Code! 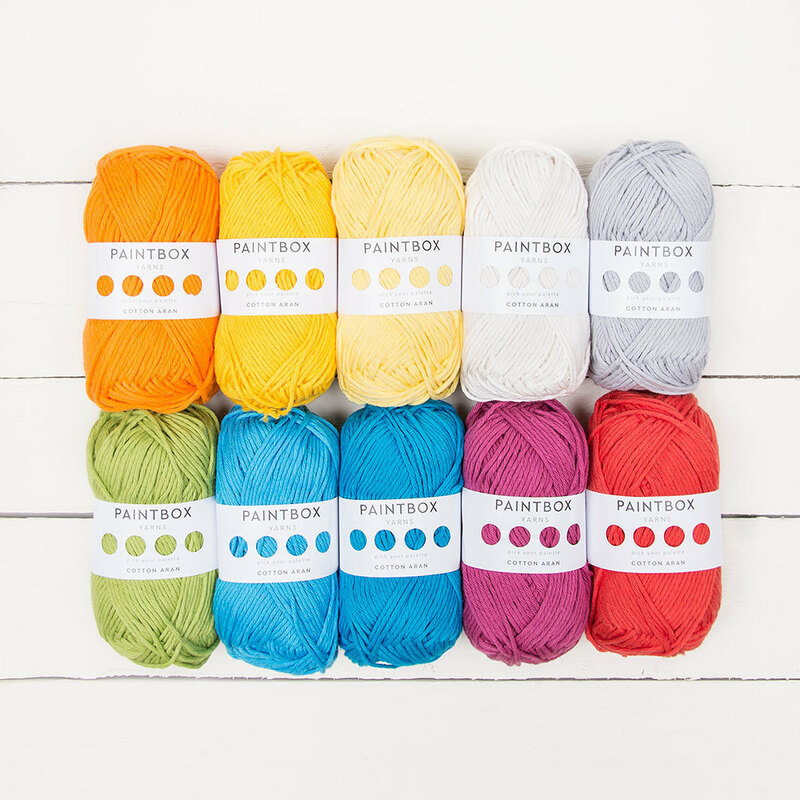 Paintbox Cotton Aran YARN Giveaway + Coupon Code! Hi there yarnies! I know so many of you love YARN giveaways and I have a fun treat for you today! The folks at LoveCrochet and I have partnered up to do a fun giveaway of 5 balls of their lovely Cotton Aran! Love this yarn? The good folks at LoveCrochet are giving Fiber Flux readers 15% off their site (min $10. purchase). Use the code "LOVECROCHET17" to get you exclusive discount! Now here's a chance to win some of your own! One winner will receive 5 balls of Paintbox Cotton Aran yarn in "Marine Blue". No purchase necessary to enter. Void where prohibited. Open worldwide to entrants 18 and over. Giveaway ends September 20th. Enter to win using the Rafflecopter below (sometimes it takes a moment to load) Now go, go, go, and enter! Special thanks to LoveCrochet for the fun collaboration! I was given yarn to sample and share, all opinions are my own. I will make sun visor hats with this yarn , they do work well all year long even in winter! I think I would make a sweater for me. It's a beautiful color. One of the things I love to crochet the most are bags. I would use this yarn to make a bag. 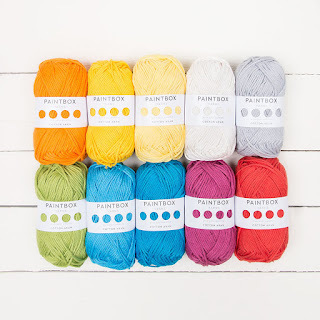 Would love to try out Paintbox yarn! Thank you for this give-away! Thank you for the opportunity to win this amazing yarn! Oh man, I'm now dreaming of what I could do with 5 balls of this gorgeous yarn! So many fun projects!! Good Luck Everyone! That beautiful blue would work so well in my bathroom, I think I'd make a nice absorbent mat for in front of the shower. Thanks for the giveaway. I would like to make a cowl. I could possibly try making a shawl. Love the colors! I think I'd like to make a blanket with this yarn - it looks so soft! Thanks for this chance to win! I love yarn and crochet! I would like to make a baby blanket from this yarn. The cilors ate beautifully vibrant! I would make a little blanket for my grandson that is arriving in December! I would use the yarn to make Octopuses for premature babies. I'd love to win and make a great summer top! I would make an afghan. Thank you for the chance to win!! I would make a pretty blanket for my guest bedroom. The color is perfect for it. I would love to make a comfy rug for my bed side with this!! I would love to make a stuffed animal with the yarn. Such a lovely shade! As Autumn approaches, I would make a shrug. I would make a baby blanket with this gorgeous yarn! I'd make some super soft baby hats or maybe a blanket. I've really been wanting to make a cotton shawl. I would make a poncho. I would knit a baby blanket with this yarn. What gorgeous yarn!! Thanks for the chance to win!!! Oooops!!! I would make an infinity scarf or some beanies!!!! I would make a scarf. This is the perfect blue for my friend! I'd this to make some useful items to surprise her: facecloths, hand towels, place mats, coasters, etc. I love the Paintbox Yarn and would love to win this contest. The colors are bold and beautiful. Thanks for the chance Fiber Flux. Thank you Jennifer for all your crochet creations. You explain them so clearly and they are so easy to follow. You have helped me to make things to be a blessing to others. Thank you also for this giveaway would love to win. Thanks for the giveaway - I was just about to order some Paintbox yarn. I'll wait now! It would be awesome to win this yarn. The colors are all beautiful. I believe this yarn would be wonderful to work with for a variety of different uses. Can't wait to introduce it to my prayer shawl group. If I win, I will make a shawl or scarf. Love paintbox yarns! The colors are so vibrant! Would love to work with these yarns, especially the DK weight yarn. The colors are gorgeous. Thank you for this great giveaway. I really like cotton yarn and would make a top for my daughter. I think that this yarn would make a beautiful summer shawl! I haven't ever used this yarn. It has to pass the "feeling " test before I can decide what it will become. I hope this is the correct place to leave a comment about the yarn giveaway. I would perhaps make a scarf a hat and whatever's left I would use for potholders or cup cozies. I'd love to win this yarn! It'd be gorgeous trying something to wear..beautiful color! Thank you so much! I would make something fun for one of my Great grandchildren. They are so fun and they love the things I make for them. I think I would make a Teddy bear!! I would make a Teddy bear for one of my great grandchildren! they love the things I make for them!! I will make a teddy bear for my great grandchildren....they love the things I make for them!! These colors of Aran yarn are Gorgeous & looove this Marine Blue color!! Thank you for chance to win your Give-a-way too! :) I would make some storage baskets for odds & ends round the house. Love this! Thanks for the chance to win!! What a pretty summer color! This would be great for a light wrap or sweater to wear on an evening beach walk. I would love to make lots of things with this yarn! I would make dishcloths and dishtowels probably. But I would like to explore other patterns to use this beautiful yarn for. Possibly a baby item. That would be lovely!!! I would love to make a blanket! Beautiful color! I would make a sweater for my nephew since v are going on a vacation this winter so it'll keep him warm..
Hi! I just learned to crochet this summer, and I just discovered your blog! Love it - and you're having a giveaway! That yarn looks good enough to eat, hope I get lucky. Thanks for the chance, and I'll be following you! Probably I would make a summer top. I would love to make a blanket! I wouldn't be making anything with this, if I won. I'm entering as a gift for my mother who likes to keep her hands busy, but cannot afford to keep doing so right now. I would make a shawn, I think. I love to knit and crochet! This would be so awesome to win. I've never won at something like this before. I've also never worked with cotton yarn either. I've been learning how to crochet for the past year and I've only used acrylic yarn so far. I would make a hat and mitt set for my neice for xmas. I've been fascinated with bath scrubbies and I'm short on cotton yarn, so this will be great!